Ken is a disciplined visionary who is committed to motivation through fitness and exercise. As of November 2012, Ken was 1 of 12 athletes (out of nearly 200 total qualified 'Men's Physique' competitors) to earn his IFBB Pro status at Nationals in Atlanta, GA. He is a sponsored athlete, brand ambassador and was one of few individuals to launch 'B Strong Academy,' an online educational resource with certified nutritionists, sports psychologists and fitness professionals like himself at the beginning of 2013 in India. Ken is a graduate student at the University of Southern California to receive his master's degree in Entrepreneurship. He offers a very unique, one-of-a-kind, 2 month challenge that will change your body and transform your life. He is an exercise product developer with a goal to solve problems with market driven solutions. Ken was born and raised in Orange County, California. 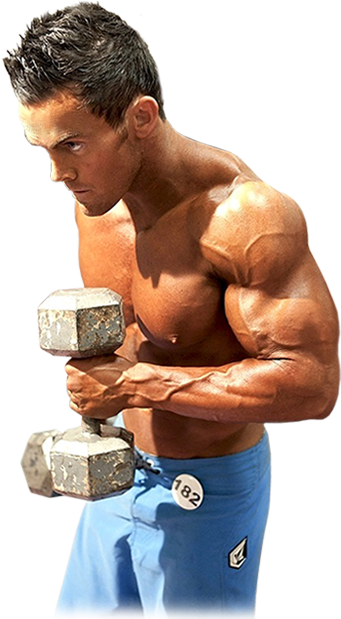 At age 15, Ken was once a very skinny 135-pound freshman at Corona del Mar High School. A novice to the world of high school football, Ken broke and dislocated his shoulder after he caught a long reception and was tackled hard to the ground. Determined to not let this stop him, Ken wanted to do all he could to prevent this from happening again. Once healed and healthy, Ken began to hit the weights to better prepare and protect himself on the football field. Seeing results and witnessing his own body transform into a bigger, faster, and stronger player, he was the impetus to greatness. The next year, Ken was just one of few sophomores to start on his high school varsity football team. Overcoming that particular challenge became the pinpoint of his passion and commitment to health and fitness. From 2003 to 2007, Ken attended the University of Arizona and received a bachelors degree in Regional Development, minoring in Business. While studying at the University, Ken walked on the football team his freshman year at only 5'9" and 165 pounds. Soon after graduating, he returned back to Newport Beach to commence his career as a real estate analyst and worked part-time at a gym called Equinox as a front desk associate. 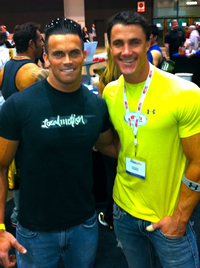 Around this time and as fate would have it, Ken attended a fitness expo at the Los Angeles Convention Center and met Greg Plitt, "the Michael Jordan of fitness.” Sharing his life story with Ken, Greg told him how he first got started in fitness modeling. Always looking up to Greg for his drive, discipline and dedication, Greg only fueled Ken's existing passion to want to pursue his hopes and dreams to make a name for himself in the fitness industry. Not too long after, Ken was laid off working real estate finance when the economy took a turn for the worst. Looking for work and hungry for success, Ken was unable to find another job in real estate. Dejected but not defeated, Ken ultimately opted to engage his time, effort and energy into something he was passionate about - fitness! Wanting to help those in need, Ken obtained his certification to become a personal trainer. Ever since, it has been a personal quest and goal of his to become the best of the best in the business.